Dodging rocks, roots and twigs equals… happiness? I´d say it definitely gives a tremendous sense of freedom when I take my bike out on the endless trails through the forest, across mountains and plains. 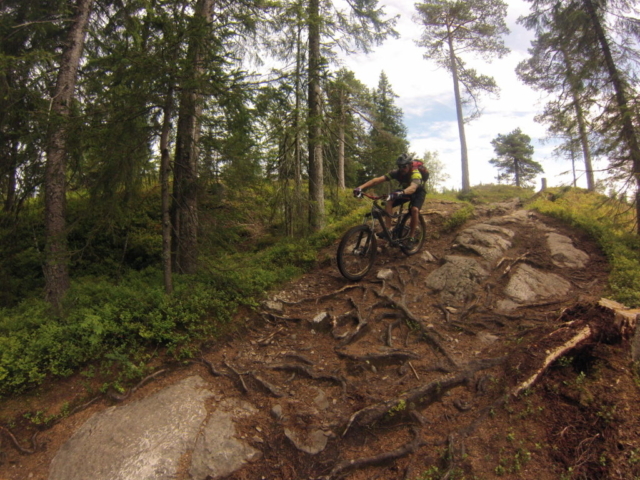 This past season I´ve been riding smooth and flowing paths, as well as rough tracks with rocky and rooty sections. Once you´ve experienced this, it´s hard to stay away from it! 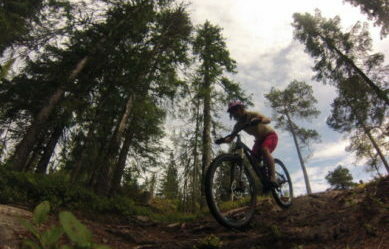 And why would you..
´Cause summers are better on a mountain bike. 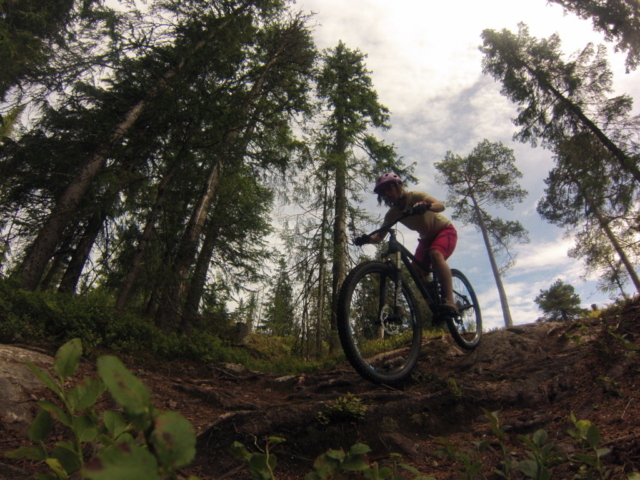 This summer got me dreaming of dirt, the satisfaction of sweat and the thrill of speed. We have been up, over and down, and had a lot of fun on the way. We have happy memories, and ones of harder days with injuries – ones that stick in your mind. As the summer evolved we joined some guided mountain bike events, where the shred was awesome but the guiding standards left us questioning if there were any. We would at least do it different. 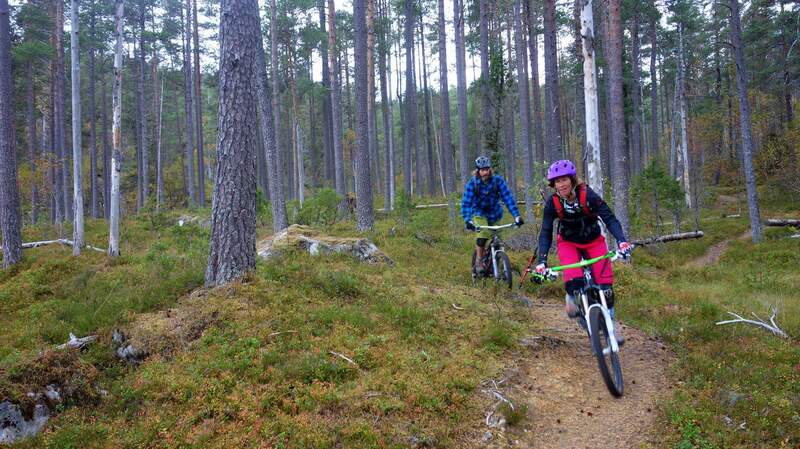 As for Norway (at time of writing), they do not really have any legal requirements for mountain bike guides. Surprisingly the Norwegians have no official awards for guides/instructors, as other European countries like France, UK, Austria and Switzerland do. For us in Rocks & Rivers, safety and risk analysis are important and at times they are even life-saving. 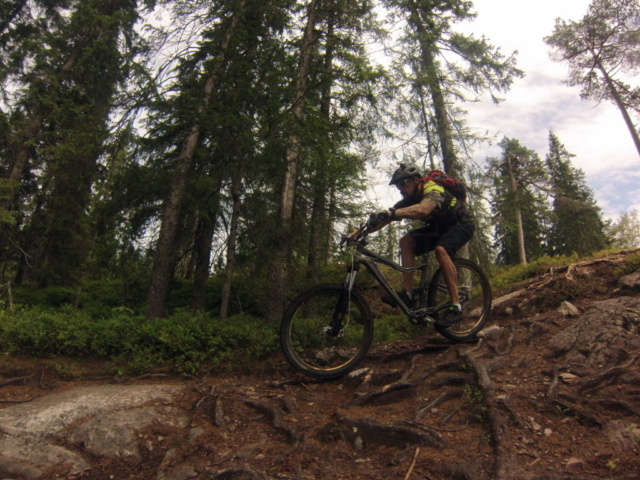 Having great, qualified instructors really makes a difference, as mountain biking and teaching skills can be difficult. 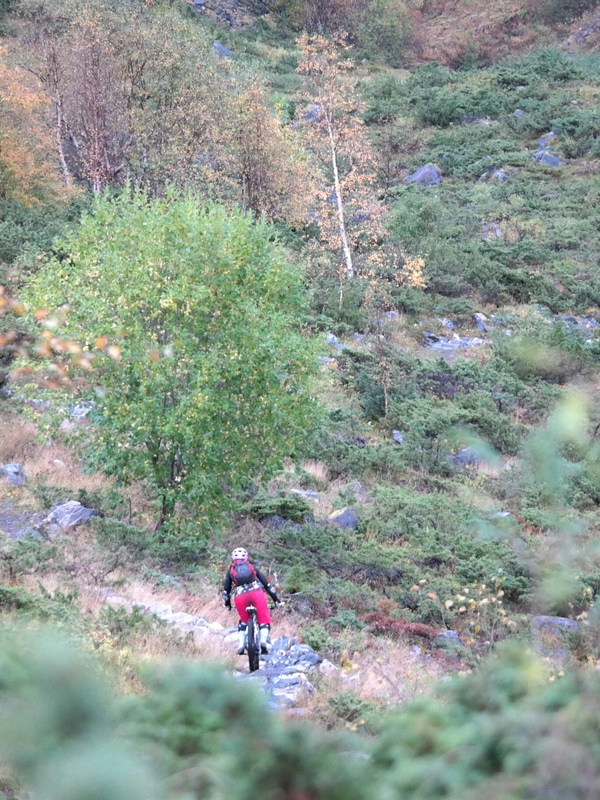 This is when my partner and I started to look into how to become a mountain bike guide and change some of the perspectives on leadership and qualifications that you find in this beautiful country we gladly live in. We did our research, found out that it would be the best to start off our qualifications through British Cycling, and cut down to a very cheap life style on oats & cabbage to pay for the flight, course and registration fees. All because we love the thrill of mountain biking. Check ✔️ packed: two full suspension bikes in bike bags which pretty much left no space for others in the airport elevator, duffle bags filled with mountain bike kit and clothes – we were ready to invade London Heathrow and the South-West of the UK to get the skills of effective mountain bike leadership through practical and engaging training on our level 2 Mountain Bike Leader Award. We did our training and assessment through Exmoor Adventures based in Minehead – Dan provided a great course, packed full of content. 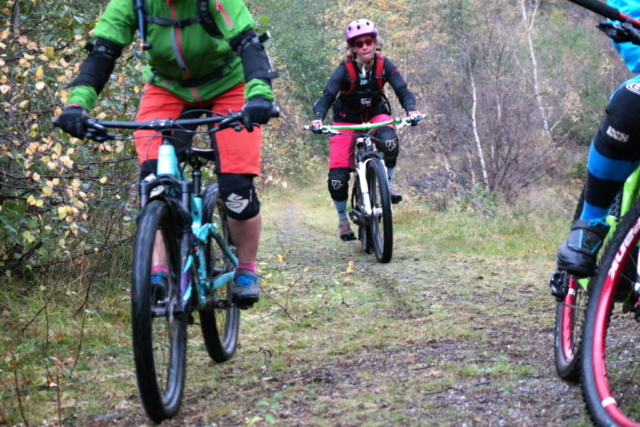 This Award is the entry point for most aspirant mountain bike leaders, enabling qualified leaders to use their experience to safely guide others on off-road terrain. Following registration for the award, learners book a two-day training course with a British Cycling accredited provider. A one-day practical assessment follows after a consolidation period. Following all the hard work and effort it took us to get this far, we envision to lead in a way that makes you feel safe, learn something new and know what to expect around the corner. 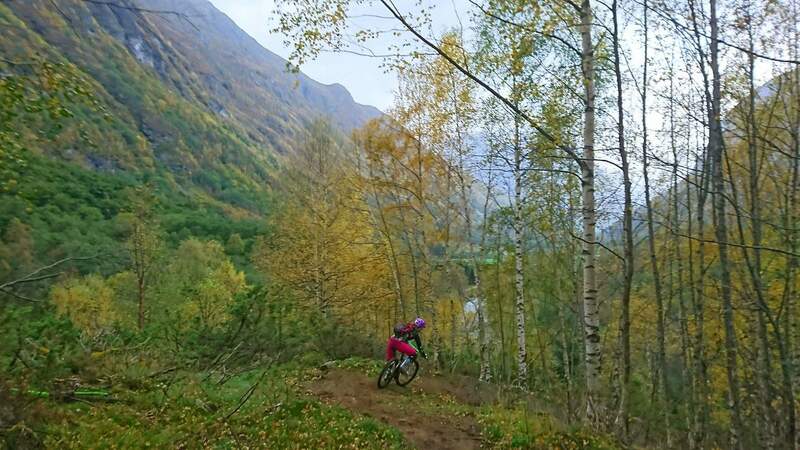 Being enthusiastic riders in all areas of mountain biking; including ascents, descents, good technical ability, mechanical knowledge, group management and organization, we will deliver in a relaxed manner and a fun safe way. 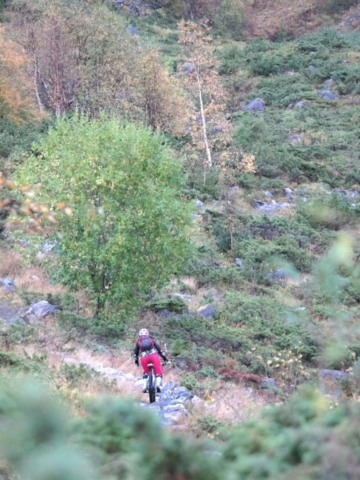 ´Cause we did not become mountain bike guides for the money, but for the love of it. 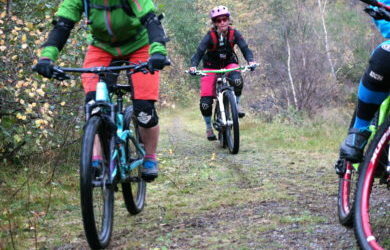 We´ll make that ride fantastic, even when it´s raining and no one wants to go up the hill and get wet. Next season you can ride together with us! Combine your vision with our expertise, experience and enthusiasm to create the ultimate shred with your group. Our area offers a range of mellower and mountainous trails for beginners and more experienced riders – You´ll find this & us at Skeikampen (just north of Lillehammer), but you can also join us in Oslo, Elverum, Jotunheimen and more places. Shoot us an email to keep you posted! We´ll be more then happy to guide you on off-road terrain, spreading that bug of mountain bike love – that is impossible to shake. Are you ready?